Giving Thanksgiving Classics A Makeover Chris Kimball, host of America's Test Kitchen on PBS, gives Thanksgiving standards a "makeover." His recipe redos can help you overcome perennial culinary hurdles. Another Thanksgiving brings another round of traditional foods that can be bland, soggy and, frankly, unappealing. But it's not too late to snap your holiday meal out of the doldrums with a few simple cooking makeovers. 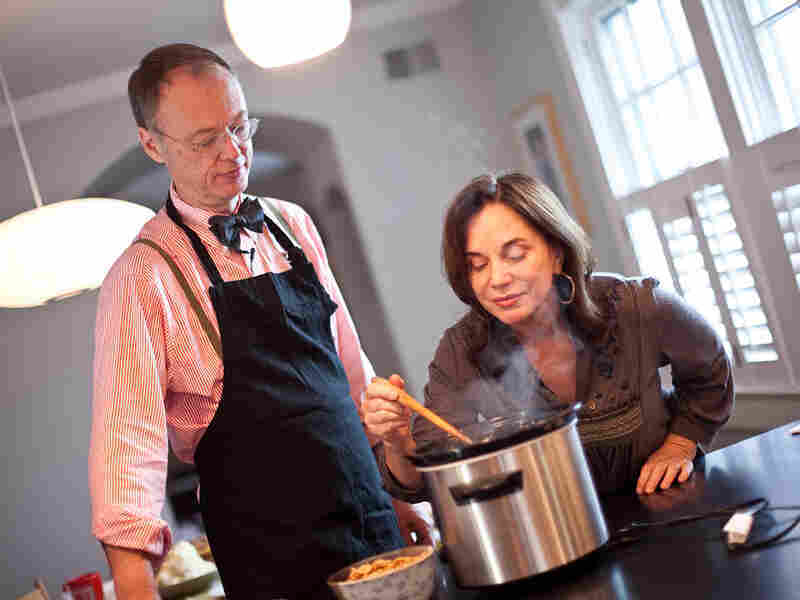 The holiday is full of culinary hurdles, says Chris Kimball, host of America's Test Kitchen on PBS. But he assures that a few recipe redos can help solve perennial problems. It's all too easy, for example, to dry out the white meat and undercook the dark meat, he says. The fault lies not with you, but with Mother Nature: Turkeys were clearly never designed to be roasted. "The construct of a turkey is a disaster," Kimball says. "You have this huge cavity on the inside that doesn't conduct heat very well, so you have uneven cooking." The solution? Instead of roasting the entire bird as a whole, Kimball suggests breaking down and cooking the turkey in parts — a method popularized by Julia Child. See this technique, and more, in this recipe interactive.